Bedfordshire Geology Group. Members enjoy field trips, clearing overgrown sites, lectures, workshops and social events – all aimed at getting ‘hands on’ with local rocks and fossils. They also arrange guided walks in order to appreciate the varied landforms and scenery of Bedfordshire. Buckinghamshire Earth Heritage Group run lots of events covering a range of activities including talks, workshops, and indoor fun days such as the Rock and Fossil Roadshow, guided walks and quarry visits, amongst others. A couple of times a year they will work on one of their special sites (one of the SSSI or LGS sites) and help to conserve the interest and value of the area. The group is an affiliated member of the Geologists’ Association and is part of the GeoConservation UK network which means that they look after the County’s rocks, fossils and landscapes. Their volunteers find the activities great fun and very rewarding. The group are always looking for new members (no prior experience or knowledge necessary) and extend a warm welcome to anyone wishing to join the many activities. The Community Conservation Champions are a loosely knit group of volunteers who are actively involved in the maintenance and public promotion of 19 geological sites spread across the counties of Herefordshire and Worcestershire. They are engaged in a wide range of activities which vary according to the nature of the site. These include: site clearance, conservation and monitoring; public open days; guided walks, talks, and demonstrations; and facilitating private visits by request. Cumberland Geological Society aim to help everyone access and interpret Cumbria’s geology and advance the knowledge of the region. Dorset’s Important Geological Sites Group are part of a national network of largely county-based volunteer groups under the umbrella organisation Geoconservation UK. They meet at the Dorset Wildlife Trust (to which they are affiliated) every two months to discuss conservation projects, and update members on the progress of on-going conservation work. 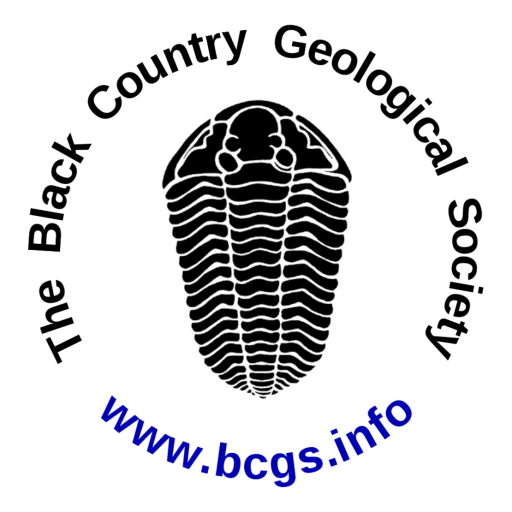 East Midland Geological Society was formed in 1964 by a group of both professional and amateur enthusiasts, who recognised the need for such a group in this area of great geological interest. This mix of people from all backgrounds has remained a feature of the society to this day, and gives it a friendly relaxed atmosphere which appeals to newcomers. East Yorkshire RIGS Group. Membership is open to organisations and individuals with an interest in geological conservation in East Yorkshire. Members include representatives of the East Riding of Yorkshire County Council, Hull Geological Society, Hull Museums (representing Kingston upon Hull City Council), Kingston Upon Hull Lapidary Society, Hull Naturalists’ Society, Hull University, Ryedale District Council, North Yorkshire County Council, Yorkshire Geological Society and the Yorkshire Wildlife Trust. Gloucestershire Geology Trust is a registered charity and a founder member of The Geology Trusts. The Trust was set up in 1992, with the aim of surveying and recording Regionally Important Geological Sites (RIGS). GGT also carry out conservation work on important geological sites; they hold the Geological Records Centre for the county; produce a variety of guides and publications; run a highly successful Rock & Fossil Roadshow programme and offer a variety of events throughout the year. GGT have embarked on a new and exciting project called ‘Geowardens’, which aims to raise awareness of the fantastic geology and landscape in the area, and to develop a team of local volunteers to help conserve and enhance the rock exposures along the Huntley, Longhope & Hobb’s Ridge Geology & Landscape Trail. Herefordshire & Worcestershire Earth Heritage Trust is a charity that aims to record, protect and promote geology and landscape, and to raise awareness of this Earth Heritage by engaging the public in educational programmes. The Trust is also involved in promoting healthy living through walking with our ‘Explore’ self guided trails, Geopark Way long distance trail and its associated free trail leaflets. Hertfordshire Geological Society is for anyone interested in geology, whether beginners or experienced. They hold monthly talks on a wide range of earth science topics. They have several day and weekend field trips a year and sometimes a longer foreign excursion. In August they have an annual ‘Members’ Evening’ when slides and specimens collected during the year are shown. Liverpool Geological Society offer a varied programme of illustrated talks, occasional practical sessions, and field trips. Guest speakers include local experts and internationally recognised scientists. Manchester Geological Association was formed in 1925 to bring together professional and amateur geologists in and around Manchester. They are actively concerned in the conservation of key geological sites in the area. They organise field excursions during the summer to places such as the Lake District, Scotland, Peak District and North Wales. In the winter they hold monthly lectures by expert speakers at the School of Earth, Atmospheric and Environmental Sciences at the University of Manchester, where they also have access to a library of geological books and maps. Mid Wales Geology Club are a friendly get-together of enthusiasts who have an interest in various aspects of geology. They range from complete novices to experts and meet regularly in Newtown. North Staffordshire Group of the Geologists’ Association. Lecture meetings are held monthly during the autumn and winter, at 7.30pm in the William Smith Building at Keele University. Field meetings are held at approximately monthly intervals over the spring and summer. Open University Geological Society, West Midlands Branch. The Society was formed in 1972 by OU geology students to support their studies with more practical experience through field trips, lectures and other events. The Branch covers Warwickshire, the West Midlands, Staffordshire, Shropshire and Worcestershire. Oxfordshire Geology Trust (formerly Oxfordshire RIGS Group) was launched in 2000. They are a non-profit making organisation with two main aims: to protect and conserve geological sites and their landscape, and to raise awareness of the county’s rich and varied Earth Heritage and geology. Shropshire Geological Society aims to advance the education of the public and to promote research in geology and allied sciences, more specifically in Shropshire and adjacent areas, in particular but not exclusively by: (a) organising lectures, discussions, field excursions, exhibits and displays, and (b) promoting the recording and conservation of sites of geological interest. Stamford & District Geological Society aims to bring together in regular meetings people with an interest in Geology and Palaeontology; to arrange activities to further such interests; to raise awareness of the sciences in the public generally. Teme Valley Geological Society. By some series of terrestrial incidents, the rock types to be found in the parish of Martley, and in particular at one small site, enable an examination of samples from different periods probably without equal in the country. Warwickshire Geological Conservation Group was established in 1990 by few enthusiasts who wanted to raise awareness of and conserve the many rock exposures dotted around the county. The membership has since grown and includes many enthusiastic amateurs, students and teachers as well as some professional geologists. Woolhope Naturalists Fieldclub – geology section. The origins of the Woolhope Club reach back to the founders’ interest and research in the geology of the Woolhope Dome and its Silurian stratigraphy, dating from the mid-19th century. Amongst other subjects, geology has featured in its activities ever since. However, in November 2002 a specialist Geology Section was formed so that this field of interest could be pursued more actively. Yorkshire Geological Society. A friendly, diverse group of enthusiastic people ranging from beginners to professional geologists. An exciting range of indoor meetings and lectures throughout the region on major topics of interest. A wide range of field excursions covering all aspects of the fascinating geology and landscape of northern England.